Broncos TV handed the microphone over to Emmanuel Sanders' young son Princeton during Denver's Super Bowl parade. Their interview is priceless! 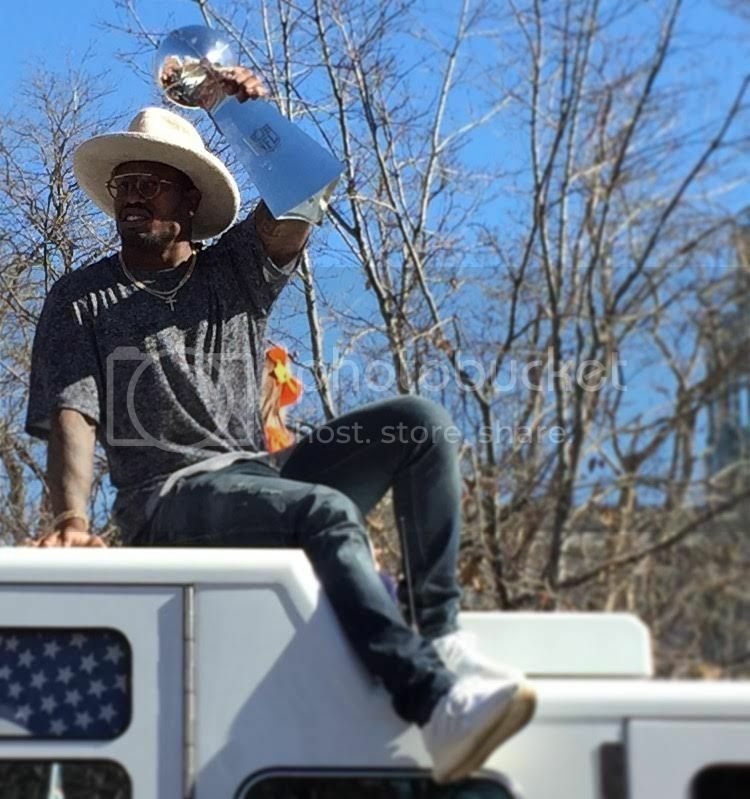 Broncos players talk about Tuesday's Super Bowl parade through the streets of Denver. 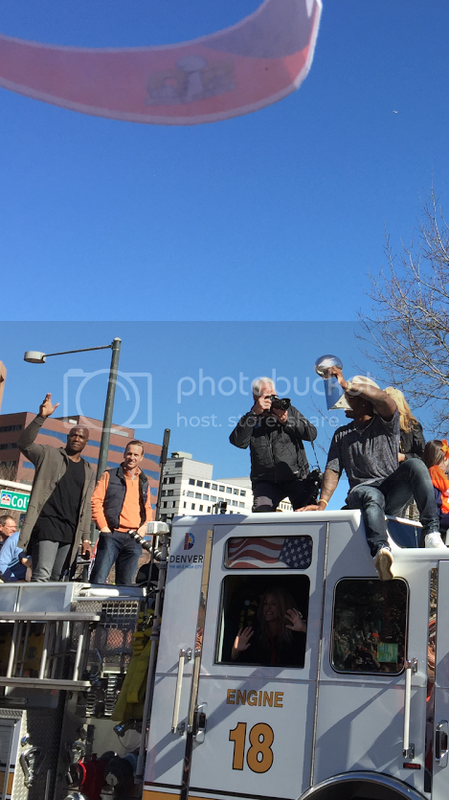 Broncos TV rode in the parade with Denver's tight end group as they made their way through the crowds. Awesome. Thank you. Those are great!!!! Wow. Great pics too!!! You all are so lucky!!! I'm a little black and blue from wrestling with the wife. Here's the best of the photos I took on my rinky-dink phone. The Broncos were honored Wednesday night at the 17th annual Denver and Colorado Tourism Hall of Fame Dinner, following the Super Bowl parade that saw an estimated one million fans in attendance. 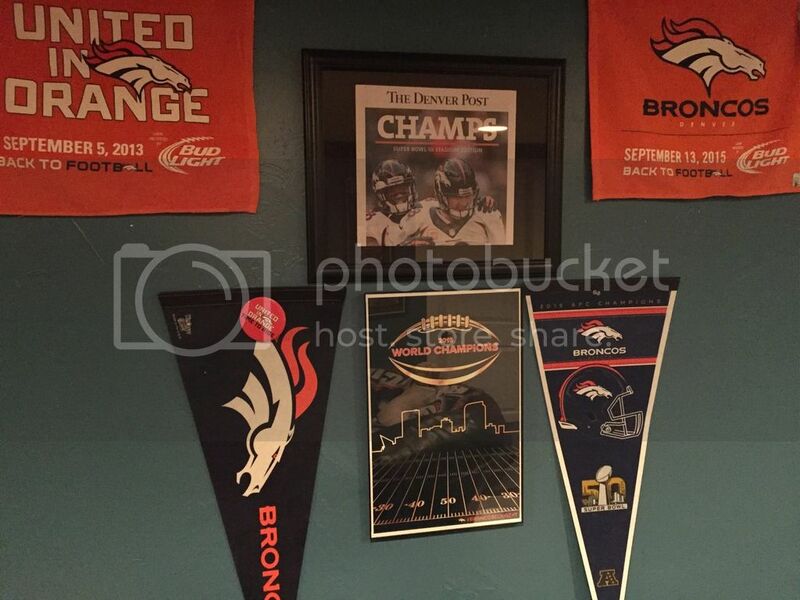 Finally got around to printing off my poster and putting a little shrine on the wall in my mancave. I got cheap and printed the poster off at work and I found a great frame at Target for about $7. Not bad! BONUS: You can even see my dog in the reflection of the frame.